I live by a motto that the only thing worth spending is time, spend it wisely! Thanks everyone for the welcome. Roxanne says Hi! Black Gal !, she' s looking for a male Rott to run with! Aaawww...I LOVE the Rott also!!! Good afternoon. 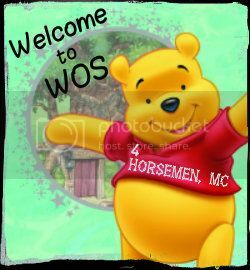 Welcome to WOS. Make yourself at home and invite some friends.